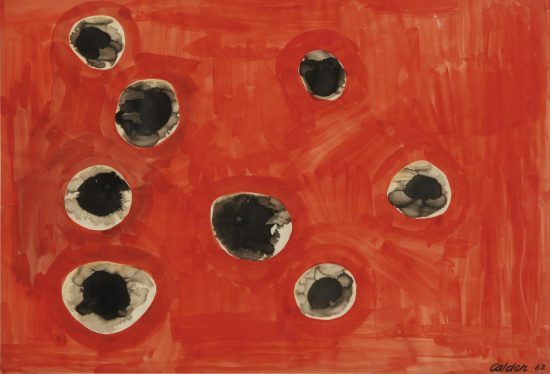 This work is hand signed by Alexander Calder (Pennsylvania, 1898 - New York, 1976) in pencil in the lower right. 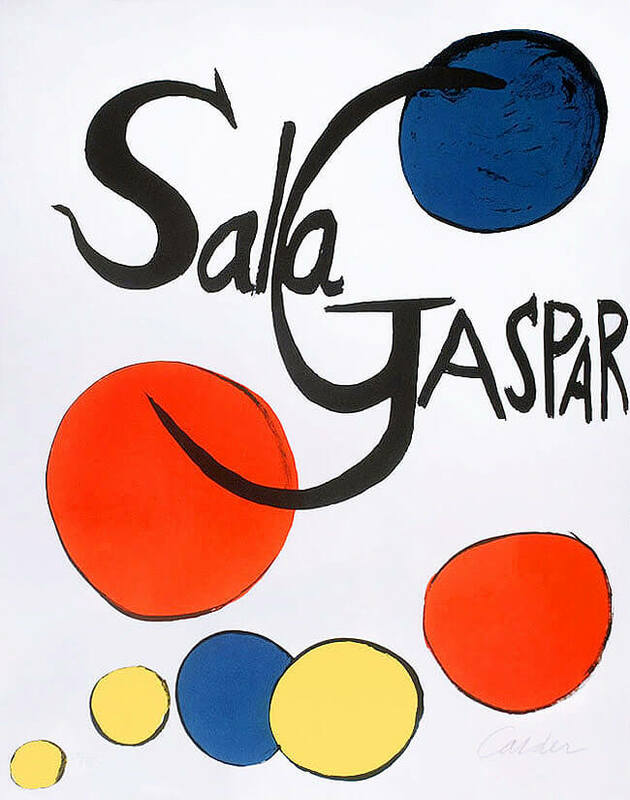 Large, brightly colored orbs surround bold, flourished text spelling out the words 'Sala Gaspar.' 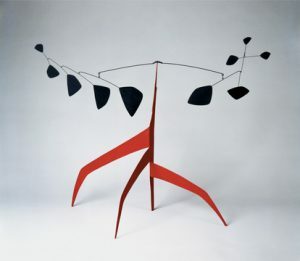 Calder (Pennsylvania, 1898 - New York, 1976) utilizes vibrant reds, blues, and yellows that contrast with the deep black of the text. 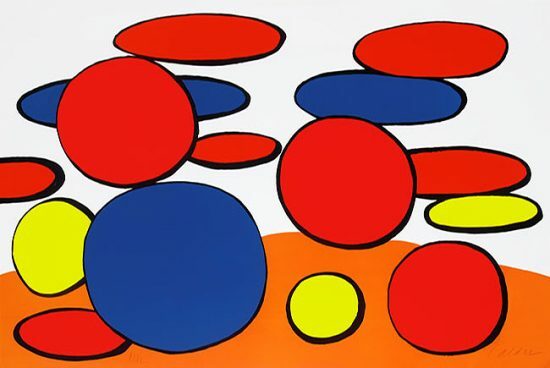 The circles of color vary in size and shape and appear as if floating in outer space. Cluttered near the bottom, they branch out at the top, relaying a sense of gradual, upwards motion. 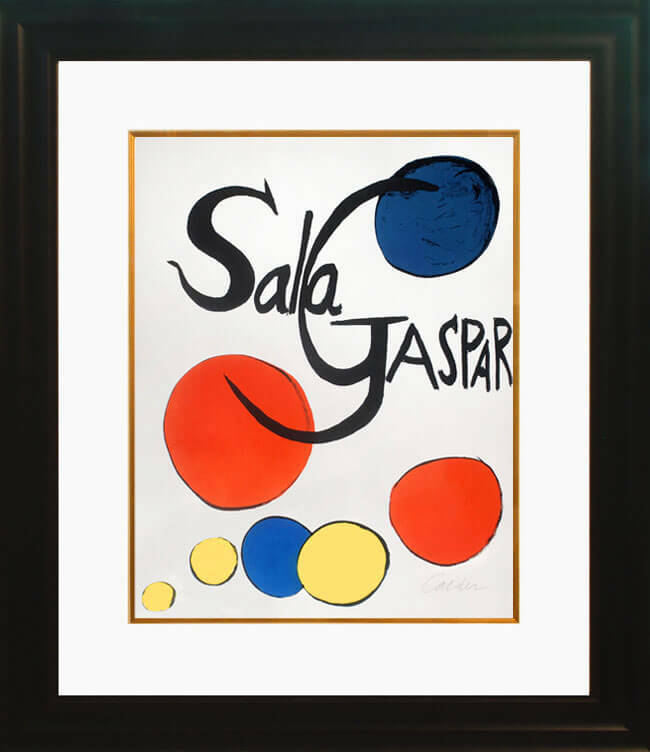 The two words 'Sala Gaspar' link together, with the 'G' of 'Gaspar' gracefully cutting in between the 'l' and the 'a' of 'Sala.' The hook-shaped lines of the 'S' and the 'G' mimic each other in elegent, snaking curves. This text appears as the subject of the piece, centrally located and highlighted by the colorful circles around it. 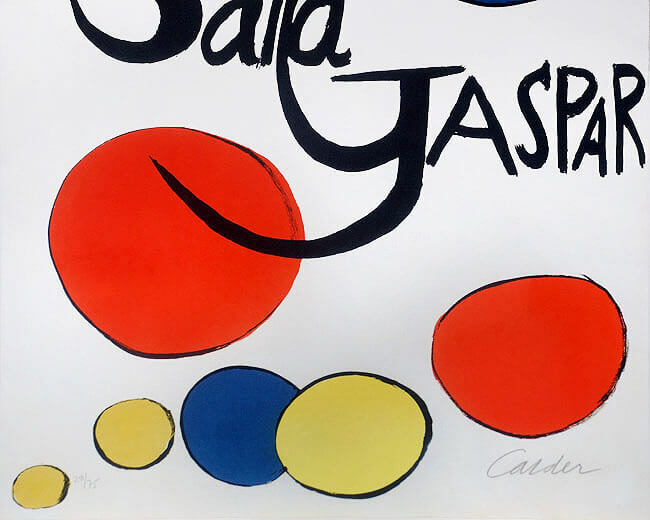 This original color lithograph is hand signed by Alexander Calder (Pennsylvania, 1898 - New York, 1976) in pencil in the lower right and numbered from the total edition of 75 in pencil in the lower left; published by Sala Gaspar, Barcelona. This work is framed to museum-grade, conservation standards, presented in a complimentary moulding and finished with silk-wrapped mats and optical grade Plexiglas. Alexander Calder's childlike joy and draftsmanship entranced Paris as much as they did New York. 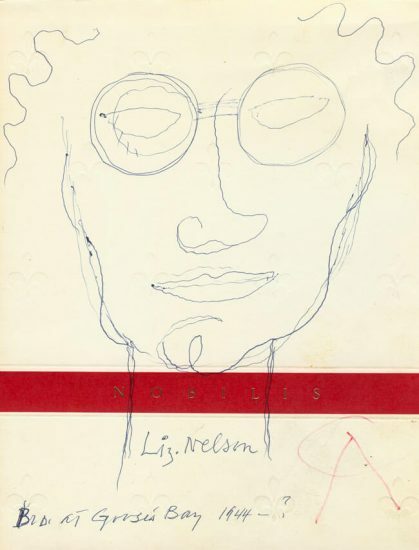 Calder's stabiles and mobiles bring his monumental public works into the home while his signed lithographs and drawings are some of the best graphic works of the 20th century. 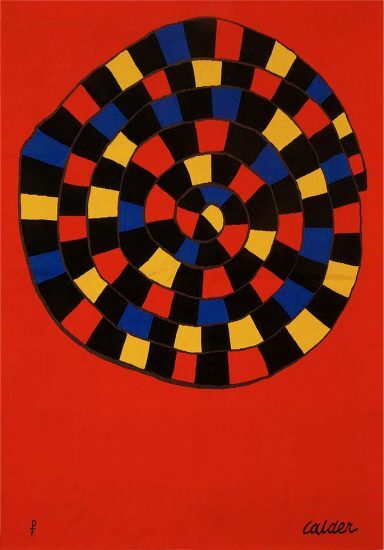 Sell your Alexander Calder fine art with us. We offer free evaluations.